Should You Get Permanent Color On Your Relaxed Hair? 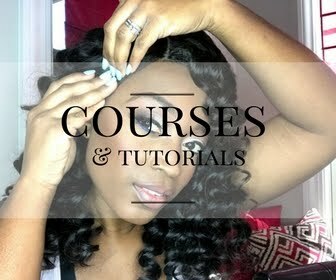 So you have the long, healthy, relaxed hair that you want but now you are bored with your hair. What should you do? Many women decide to try color at this point. 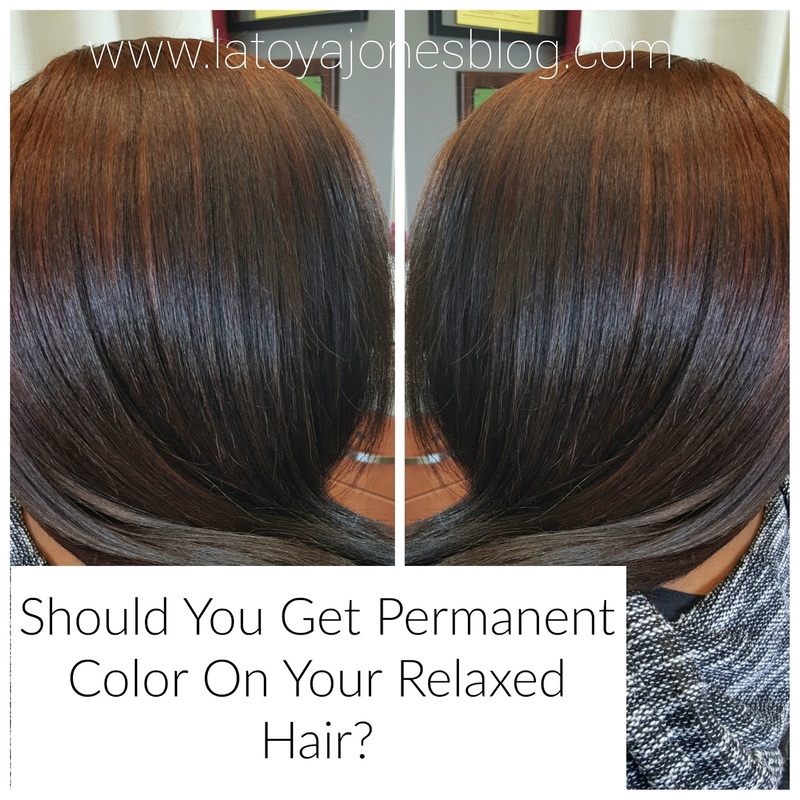 But should you get permanent color on your relaxed hair? 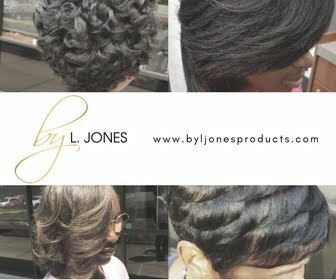 I advise my clients to always pick which chemical they want, either the color OR the relaxer. Having both is a lot of upkeep and majority of women are not going spend the time or the money required in order to avoid damage to their hair. As a hairstylist I know which clients are good at taking care of their hair at home and which ones are not so good. For the ones that I know are not going to take care of their hair I will not even entertain the thought of color if they have a relaxer. 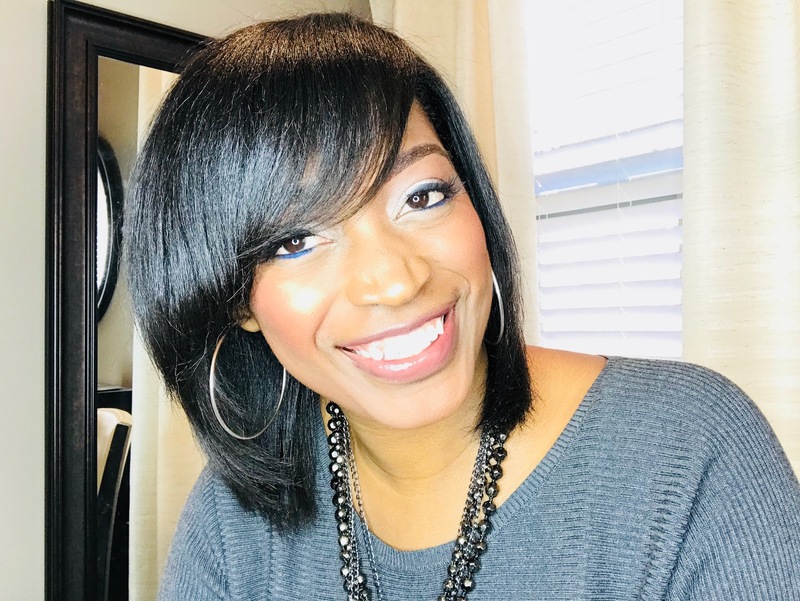 If you just have to have some color and you do not want to give up your relaxer here are a few tips. Should you permanently color your relaxed hair? If you do not want to get any damage to your hair from having two chemicals, stretching your relaxers is a must. I recommend stretching even if you do not have color, but if you get it, stretching your relaxer to at least 20 weeks is highly recommended. This will give your hair time to strengthen up in between your chemical services. 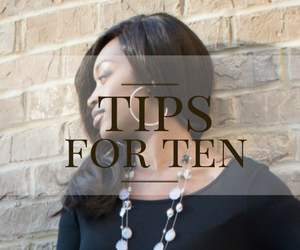 Also, do not go more than two shades above your natural hair color when you have relaxed hair. This means if your hair is black, you should not color your hair above a deep brown if it is relaxed. The lighter you color your hair, the weaker it becomes so you definitely do not want to color to lightly on relaxed hair. If you do, once you get your touch up on already weak hair, guess what will happen? You guessed right, it is going to break! This client got color on her relaxed hair and although it looks good in the pictures, she did have some breakage after getting her color (I did not do her color service nor her relaxer). 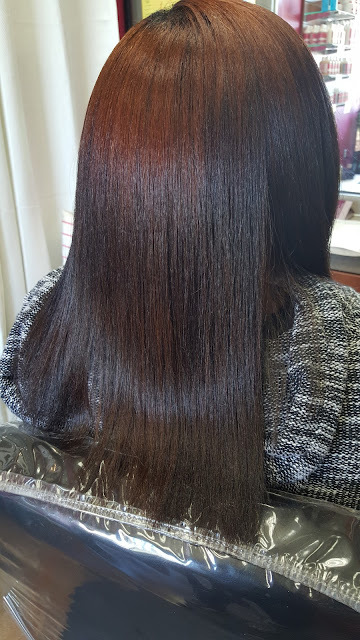 She came to me after receiving the damage to her hair because she wants to get her hair back healthy. My goal is to educate women to avoid damage altogether because it takes more money for you to get something fixed than it does to maintain. Having color is not a bad thing, but just like a relaxer it is a chemical and should be used wisely. 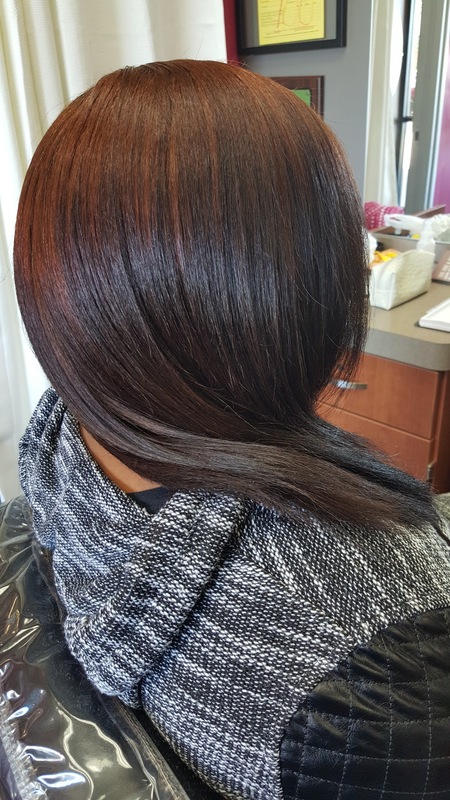 When done correctly you can have relaxed hair with a hint of color and still have perfectly healthy hair. Don't be fooled by what you see in magazines and on the internet, a lot of the women you are looking at have extensions! Also many celebrities have the money to pay in order to upkeep the color on their hair if they are coloring their own hair. But not to worry, I'm here to help you on your hair care journey!